With over 90 years of combined personal injury trial experience, The Glorioso Law Firm defends the constitutional rights of and seeks justice for individuals who have been injured because of medical or corporate negligence or by another individual because of recklessness or carelessness. The Glorioso Law Firm has recovered over $100 million dollars in judgements, verdicts and settlements for our clients who were injured due to another’s negligence or fault. 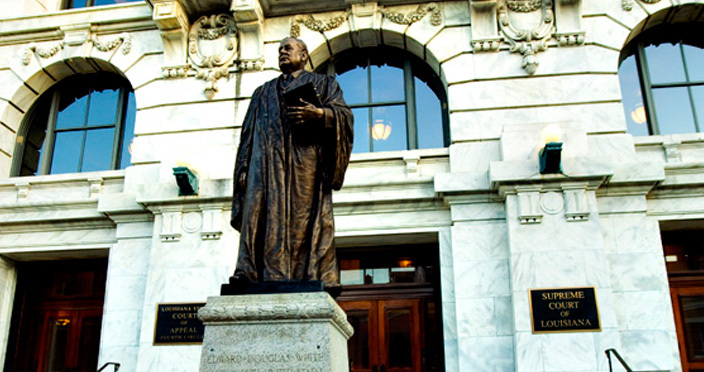 Need a New Orleans Personal Injury Lawyer? 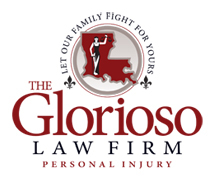 Call The Glorioso Law Firm and speak to one of our lawyers for a free consultation. While medical malpractice can be some of the most difficult litigation there is within the practice of law, it is a distinguished area of concentration for The Glorioso Law Firm. As our city streets and highways become more crowded with automobile and truck traffic, it’s almost inevitable that at some point you will be involved in an accident. We Trial lawyers in our never ending full-time, all consuming quest for professional, recognitions and financial success and in our commitment to and discharge of obligations to client and cause, all too often sacrifice the very quality of life which we seek for our clients and the loss of which we so eloquently and passionately lament to juries, how sadly ironic. The credit belongs to the man who is actually in the arena whose face is marred by dust and sweat and blood. Who knows the great enthusiasms, the great devotions and spends himself in a worthy cause who at best if he wins knows the thrill of high achievement and if he fails at least he fails while daring greatly so that his place shall never be with those cold and timid souls who know neither victory nor defeat. Separate, but equal is a legal fiction. There never was and never will be any separate quality. Our constitution cannot be used to sustain ideologies and practices which we as a people abhor. There is something different and special about the trial lawyer. You can tell it whenever you are in a courtroom and see any lawyer, young or old, good or bad, when his time comes to stand up and speak on behalf of his client, white or black, right or wrong….There is a touch of everything wonderful in the advocacy of a lawyer for his client, in his effort to defend the right… I have seen a shabby old lawyer that almost literally slept in the street come to court unshaved and disheveled and rise before a jury that came to scoff and remained to pray. Every man who has lived the life of a lawyer knows what I mean and knows that there must be a source of this transformation of personality that touches an ordinary man with the pentecostal fire of an advocate. You would see him speaking to us from his wheelchair lifting our spirits, making us stronger with his inspirational philosophy, “The only thing we have to fear is fear itself.” his name was Franklin Delano Roosevelt. He was a lawyer.